Free webhosting service? Or domain hosting? I have a personal project that I built recently and I’ve already uploaded all the files onto GitHub. What’s the best web hosting I can find just to test some water? I really like to see my site online and let other people visit it then gave me feedback. Never heard of surge.sh, so I just tried it. YES, you can host your website/demo/exercises/project here. BTW, it seems it just serves static sites. I don’t think php will work, no databases, or anything. You also can’t pick the domain you’ll end up with, (some-random.surge.sh) not unless you assign your own domain name to your surge.sh account. I just uploaded my tribute page to surge, and it was pretty easy using the command line. The domain assigned to my project is “left-digestion”… which is assigned randomly. Now, if you can spare $6/month, you can host at bluehost.com and you can host unlimited domain names, and also subdomains that you can assign yourself! Thanks. I will keep using surge I guess… it is just for showcase only I think… let other people see my projects. Why not just use github page? Edit: I think GitHub is more convenient. I will look it up. I recently started using GitHub pages. It took me a bit to get it figured out. You create a repository called username.github.io and that repo becomes your main page. You can then upload other projects in other repos to a branch called gh-pages and that branch will be live at username.github.io/repoName. I’ve read that instead of creating a new branch you can also put the build version of your site in a docs/ folder on the master branch and it will be used for GitHub pages the same as if it were in a gh-pages branch. I haven’t tried that yet. 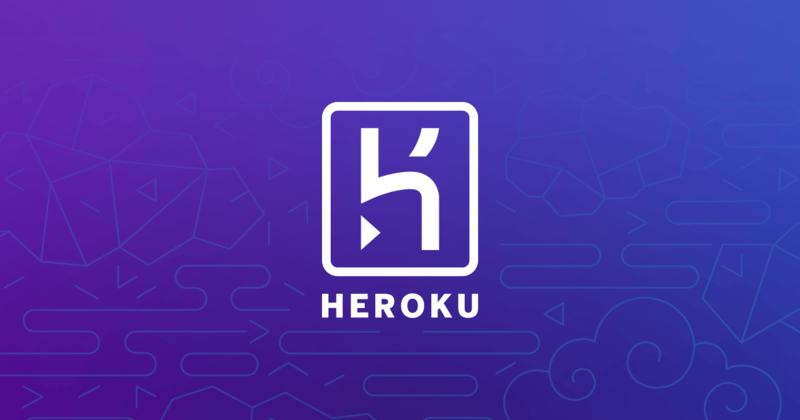 Heroku offers simple, flexible pricing to meet the needs of every app and every organization. Add data stores, cloud services, support, and more. I haven’t used it though. Well, I sort of have. I pushed some docs to it when I was working as a freelance writer, but I’ve never built anything and deployed it there from scratch. thanks for the tips. I will look into those. I’m still not comfortable using github… =.= gonna try to get used to it. I got no luck in getting the /docs or gh-page branch method. I didn’t understand what the instruction trying to get at. But I did find a work around. I put the project folder directly into the master. And I can just browse right into the project folder with the github page. Getting my GitHub pages site loaded was my first real experience working with Git and GitHub. It’s definitely not at all intuitive, imo. I wasn’t comfortable with it either, but am slowly getting it figured out. Good to hear. There is a "course " on udacity that explained git and github quite well. ANd it is free too. It’s called: how to use git and github. I haven’t finish it yet. Go check it out! Surge is good for static sites and you can use custom domain name with it. but I need to find/purchase the domains myself right? [/quote]Yes, of course. But some domain names are quite cheap. You will use a Domain Registrar. You first have to check if the domain name you want to use is still available, then you purchase the domain name with an appropriate extension, i.e. .com or .edu The name is then yours for a one or two year term, and must then be renewed. There are many registrars available and cost varies quite a lot, so take some time to choose. I use canspace.ca and have had no issues, but there are lots and lots available. thanks, the main purpose of all these is just to showcase some personal project I did so I can hear some feed back from others. I think the default one that surge gives me is good enough. @P1xt Thanks for that info! I thought I was stucked with whatever random string they gave me. @RaneWrites Thanks for that Github tip. I got my tribute uploaded on github and now hosted and working there. With surge.sh, everything, gets re-uploaded when you update. Learned something new today, thanks to this topic. thanks for the info! those guide you wrote are so informative and I’m pretty sure that im not the only one who benefited from it! yeah. I know. im definitely on the slow pace here, but will keep going. Surge is awesome, I’m using it for every front-end project these days. It’s great for hosting blogs made with static site generators, you can use custom domain names. For projects that require a server I usually use Heroku or Digital Ocean.